By Keith Cowing on August 30, 2018 12:06 AM. Keith's note: I am not even sure where to start. I knew Paul for 30 years. He was truly the "man in the moon". I am not sure that there was any one person left among us who had that Apollo-era sort of knowledge of the Moon - its geology, its resources, and its untapped potential. He was an unrelenting advocate for lunar exploration and he will be truly missed. This is a tremendous loss for space science. Ad Astra Paul. "Spudis was Deputy Leader of the Science Team for the Department of Defense Clementine mission to the Moon in 1994, the Principal Investigator of the Mini-SAR imaging radar experiment on India's Chandrayaan-1 mission (2008-2009), and a team member of the Mini-RF imaging radar on NASA's Lunar Reconnaissance Orbiter mission (2009-2018). Spudis authored or co-authored over 115 scientific papers and 7 books, including The Once and Future Moon, a book for the general public in the Smithsonian Library of the Solar System series, The Clementine Atlas of the Moon, by Cambridge University Press, and The Value of the Moon: How to Explore, Live and Prosper in Space Using the Moon's Resources, by Smithsonian Books. Spudis was a major lunar scientist based at the Lunar and Planetary Institute in Houston, Texas at the time of his passing. 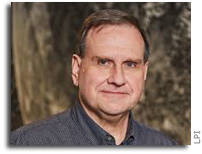 For a glimpse of the renowned work of Paul Spudis, go to: http://www.spudislunarresources.com/"
NASA Adminstrator @JimBridenstine just mentioned the passing of Paul Spudis at the @NASA Advisory Council and asked for a moment of silence. This page contains a single entry by Keith Cowing published on August 30, 2018 12:06 AM. Is The Space Foundation NASA's New Party Planner? was the previous entry in this blog. NASA Has A Plan To Convert Its Field Centers Into FFRDCs is the next entry in this blog.